This book develops a theory of a Caribbean-Atlantic imaginary by exploring the ways two colonial texts represent the consciousnesses of Amerindians, Africans, and Europeans at two crucial points marking respectively the origins and demise of slavocratic systems in the West Indies. Focusing on Richard Ligon’s History of Barbados (1657) and Matthew ‘Monk’ Lewis’ Journal of a West India Proprietor (1834), the study identifies specific myths and belief systems surrounding sugar and obeah as each of these came to stand for concepts of order and counterorder, and to figure the material and symbolic power of masters and slaves respectively. 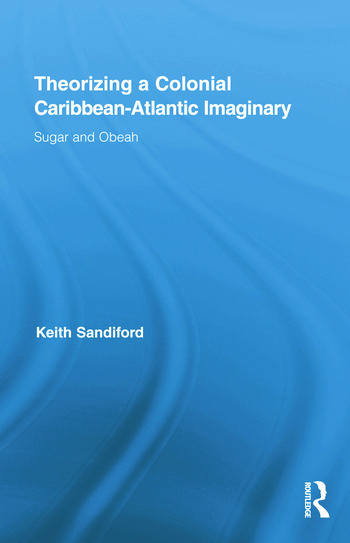 Rooting the imaginary in indigenous Caribbean myths, the study adopts the pre-Columbian origins of the imaginary ascribed by Wilson Harris to a cross cultural bridge or arc, and derives the mythic origins for the centrality of sugar in the imaginary’s constitution from Kamau Brathwaite. The book’s central organizing principle is an oppositional one, grounded on the order/counterorder binary model of the imaginary formulated by the philosopher-social theorist Cornelius Castoriadis. The study breaks new ground by reading Ligon’s History and Lewis’ Journal through the lens of the slaves’ imaginaries of hidden knowledge. By redefining Lewis’ subjectivity through his poem’s most potent counterordering symbol, the demon-king, this book advances recent scholarly interest in Jamaica’s legendary Three Fingered Jack. Keith Sandiford is a Professor of English at Louisiana State University. He is the author The Cultural Politics of Sugar.